When it’s time to put together the annual Christmas card, most families take a few pictures of the kids, slap on a generic greeting, and call it a day. It used to be fairly common for the whole family to get dressed up and pose for a special Christmas picture, but who has the time anymore? It’s not like we have hours and hours to slave over a unique and memorable gift we can mail out to a dozen (or more) people. Unless you’re [Chris Wolsey], anyway. Rather than take the easy way out and simply mailing some pictures of his daughter out to friends and family, he recorded her giving a Christmas greeting and turned the waveform of her voice into a framed physical memento. Way to wreck the curve for the rest of us, [Chris]. 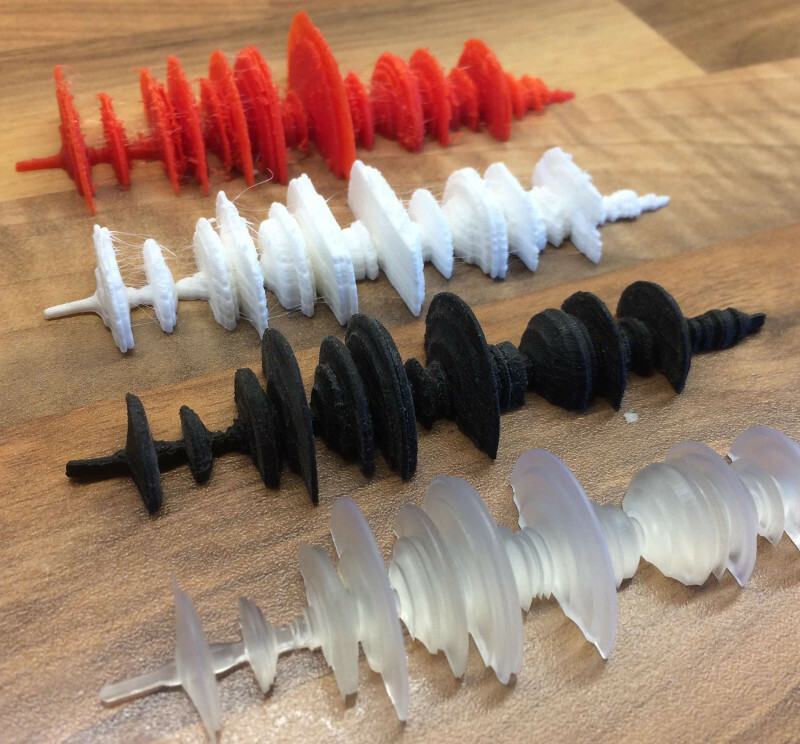 Evolution of the printed waveform. As it turns out, getting sound into CAD software isn’t exactly straightforward. 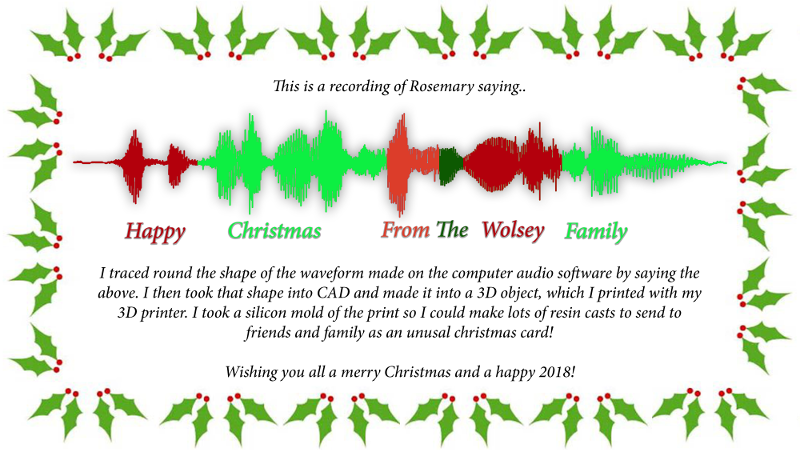 To start, he made a recording of his daughter saying the words “Happy Christmas From the Wolsey Family” with Audacity, and then took a screenshot of the resulting waveform. This screenshot was then brought into Adobe Illustrator and exported to SVG, which Fusion 360 (and most other CAD packages) is able to import. Now that the wave was in Fusion 360 he could scale it to a reasonable size, and use the revolve function to bring it into three dimensions. Cutting that object in half down the length then gave [Chris] a shape which should, theoretically, be printable on his FDM printers. But unfortunately, it wasn’t so easy. His personal Anet A8 had a tough time printing it, and the Prusa i3 MK2 at work didn’t fare much better. In the end, he had to make the leap to SLA, getting the shape printed on a Form 2 via 3D Hubs. With the finalized shape in hand, [Chris] just need to put them into production. Printing them all via 3D Hubs wasn’t really an option, so he decided to make a mold and cast them in resin. He printed up a mold box, and after fiddling around with the mix a bit, was able to settle on a resin which allowed him to de-mold the shapes just 30 minutes after pouring. Finally, he made frames for each cast waveform, and printed up a little label explaining just what the recipient was looking at; even going as far as showing which word corresponded to which section of the shape. This is a fantastically executed and documented project, and while it’s too late to whip up your own version this year, we have no doubt they’ll be a few people “borrowing” this idea next time the holidays roll around. It’s never too early to start planning for next Christmas. We’ve covered unique takes on the traditional holiday card before, as well as a sleighful of holiday decorating projects. One of the driving principles of a lot of the projects we see is simplicity. Whether that’s a specific design goal or a result of having limited parts to work with, it often results in projects that are innovative solutions to problems. As far as simplicity goes, however, the latest project from [153armstrong] takes the cake. The build is able to detect lightning using a single piece of equipment that is almost guaranteed to be within a few feet of anyone reading this article. The part in question is a simple, unmodified headphone jack. Since lightning is so powerful and produces radio waves in many detectable ranges, it doesn’t take much to detecting a strike within a few kilometers. Besides the headphone jack, a computer with an audio recording program is also required to gather data. (Audio is often used as a stand-in for storing other types of data; in this case, RF information.) [153armstrong] uses a gas torch igniter as a stand-in for a lightning strike, but the RF generated is similar enough to test this proof-of-concept. The video of their tests is after the break. Audacity is a great tool for processing audio, or for that matter any other data that you happen to be gathering using a sound card. It’s open source and fairly powerful. As far as lightning goes, however, it’s possible to dive far down the rabbit hole. Detecting lightning is one thing, but locating it requires a larger number of weather stations. Ever the enterprising hacker and discerning tool aficionado, [Chris] knows the importance of “feel”. As a general rule, cheap tools will shake in your hand because the motors are not well-balanced. He wanted a way to quantify said feel on the cheap, and made a video describing how he was able to determine the damping of a drill using a few items most people have lying around: an earbud, a neodymium magnet, scrap steel, and Audacity. He’s affixed the body of the drill to a cantilevered piece of scrap steel secured in a vise. The neodymium magnet stuck to the steel interrupts the magnetic field in the earbud, which is held in place with a third hand tool. [Chris] taped the drill’s trigger down and controls its speed a variac. First, [Chris] finds the natural frequency of the system using Audacity’s plot spectrum, and then gets the drill to run at the same speed to induce wobbling at different nodes. As he explains, one need not even use software to show the vibration nodes—a laser attached to the system and aimed at a phosphorescent target will plot the sine wave. Just for fun, he severely unbalances the drill to find the frequencies at which the system will shake itself apart. Check it out after the break. He started off by studying the existing tools available to uncover the details of the protocol. The test rig uses an Arduino UNO with the rc-switch library to transmit via a common and inexpensive 433MHz module. SDR# is used to record the transmissions and Audacity allows [illias] to visualize the resulting .wav files. But the really interesting part is where he documents the signal analysis using MATLAB. He used the RTL-SDR package in conjunction with the Communications System Toolbox to perform spectrum analysis, noise filtering and envelope extraction. MATLAB may not be the easiest to work with, nor the cheapest, but its powerful features and the fact that it can easily read data coming from the SDR makes it an interesting tool. For the full skinny on what this SDR thing is all about, check out Why you should care about Software Defined Radio. [Nick]’s grandfather was quite the old school hacker. In the 1940s, he built his own wire recorder and microphone to capture everything from his children’s Chirstmas wishes to his favorite songs and programs from the radio. Only 20 or so spools have survived and were doomed to silence until [Nick] was able to find a vintage wire recorder, restore it, and feed digitized audio into Audacity. Once he restored one of the two machines that he was able to get his hands on, [Nick] was in business. Since his grandfather also rolled his own spools, [Nick] had to build a playback spindle that would hold them. His uncle found an old mechanical counter to do the job, which [Nick] secured to the workbench. He fed the output from the wire recorder’s playback head into a guitar pre-amp, effectively digitizing the audio for recording in Audacity. After playing all the spools, he adjusted the levels where necessary and cleaned up the recordings. His biggest challenge was feeding the wires back on to their original spools, which he managed with an electric drill and a rubber grommet. Be sure to check out the mp3 clips on [Nick]’s page. If you’re in the mood for old audio hacking stories, here’s one about building a tape recorder in 1949. [Noah Farrington] has just accomplished a major milestone in his life, purchasing his first car! A glorious 2001 Ford Focus wagon. While it may be a fully loaded luxury vehicle, it is missing one thing poor [Noah] can’t live without. An aux-in port. He had a few options for rectifying the situation. Live with it as is, hack the strange Ford media protocol out of the back, or fool the CD player into playing his input. Naturally he chose the third option. His first challenge was removing the deck from the car. People told him he’d have to buy fancy stereo removal tools — he made do with tent pegs and coat hangers. Using the same method as described in a past aux-in hack, he identified the audio in leads on the CD player’s ribbon cable. By carefully soldering in his own aux-in plug, he’s almost ready for business! Unfortunately, the CD player also needs to think that it is on for it to properly output the audio. [Noah] chose the simple solution — record a silent CD to always leave in the deck. Stick around after the break to see it in action. 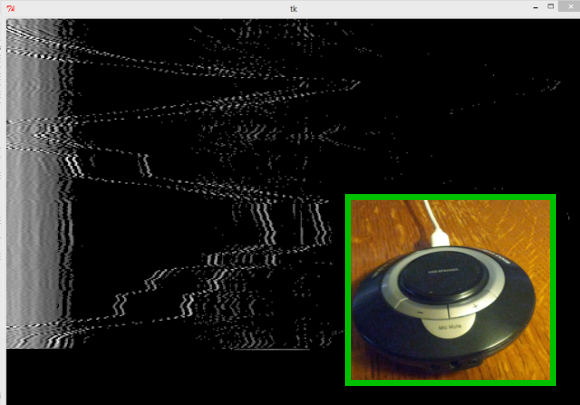 [Jason] just tipped us off about his recent experiment, in which he creates a sonar system using standard audio equipment and a custom Python program. In case some of our readers don’t already know it, Sonar is a technique that uses sound propagation to detect objects on or under the surface of the water. It is commonly used in submarines and boats for navigation. [Jason]’s project uses active sonar, which consists in sending short audio bursts (chirps) and listening for echoes. The longer it takes for the echo to return, the further the object is. Though his proof of concept is not used underwater, that may change if he continues the project. The audio editing software Audacity was used to make a fast frequency changing chirp, along with PyAudio libraries for the main Python program. Exact time of arrival is detected by correlating the microphone output with the transmitted signal. Given that [Jason] uses audible frequencies, we think that the final result shown in the video embedded below is quite nice.